Fill in your details below and we will let you know within 24 hours if we can get Munchkin Loot Letter: Clamshell to you with haste! Get a ton of treasure! You NEED it! Steal the treasure and backstab your friends – without all of the silly card-playing stuff. Well, without some of it. OK, without all but 16 cards of it, at least. Munchkin Loot Letter is a game of risk, deduction, and luck. It comes in a clamshell with a velvet bag! 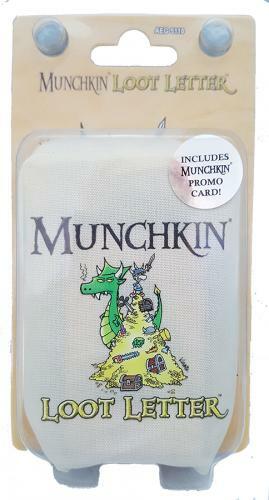 Bonus: Includes one new card for Munchkin!